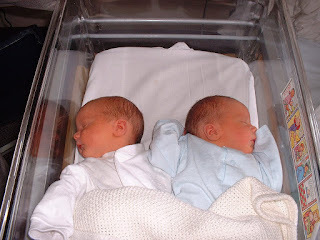 ScienceSeeker | Science News Aggregator: How can having a male twin affect your salary? Is matter conscious? Find out in ScienceSeeker's picks of the best posts for the week of March 18 - March 24, 2019 #SciSeekPicks #SciComm. How can having a male twin affect your salary? Is matter conscious? Find out in ScienceSeeker's picks of the best posts for the week of March 18 - March 24, 2019 #SciSeekPicks #SciComm. Girls who share a womb with boys tend to make less money than those with twin sisters by Michael Price for Science Magazine. already affected her earning power. Inequality begins in the womb! Oxytocin and the L word… Language that is by PsychNeuro at On Psychology and Neuroscience. The call of the void by Rowena Fletcher-Wood for Things We Don't Know. Recent research shows how to get people to cut back on meat by Hal Herzog via Psychology Today. Eat healthy and sustainably, don’t leave yourself behind by Barbara Willaarts for IIASA. Is matter conscious? by Hedda Hassel Mørch for Nautilus Magazine. Astronomers find pulsar hurtling through space by Sci-News.com. Microwaved grapes make fireballs, and scientists now know why by Emily Conover for Science News Magazine. Making a rainbow with water drops! by Charlie Crowe for Chembites. Photographers walking backwards and falling over by Martin Gardiner for Improbable Research. Science has a problem. Here is how you can help by Sabine Hossenfelder at Backreaction. Popular science books on my reading list by Heidi R. Gardner. Trying To Do Good (Podcast) by Shankar Vedantam, Maggie Penman, Rhaina Cohen, Jennifer Schmidt, Thomas Lu and Tara Boyle for NPR. Why “chickenpox parties” are a terrible idea—in case it’s not obvious by Beth Mole for Ars Technica. Inside out? Ediacaran fossils might represent internal structures, researchers say by Elizabeth Finkel for Cosmos Magazine. Deaf moths use ultrasound to warn hungry bats they’re poisonous by GrrlScientist via Medium. Glacier lessons as a glacier lessens by Eva Amsen for Hakai Magazine. Climate change claims its first mammal extinction by John R. Platt for Scientific American.